- How much of your paycheck do you save? - For over 2 years, the savings rate in the USA has been slowing. - Now they are approaching historic lows, and one wonders if the consuming class can reemerge as a driver of GDP. I keep being surprised by how much consumers are spending. But it should come as no surprise that the savings rate nears all time lows. 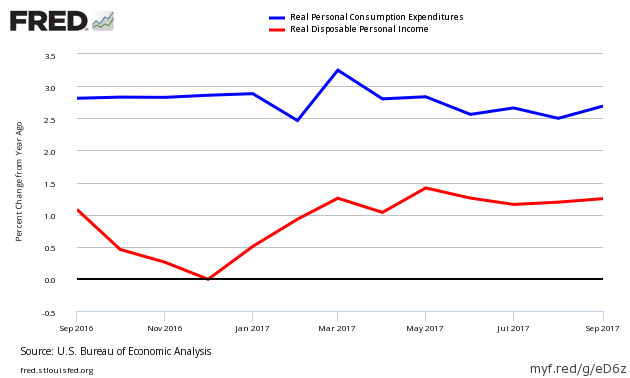 The headline data this month showed some growth in consumer income and spending - with increase in expenditures far outpacing income growth. - and all at to the detriment of the savings rate. The savings rate worsened - and historically is extremely low. 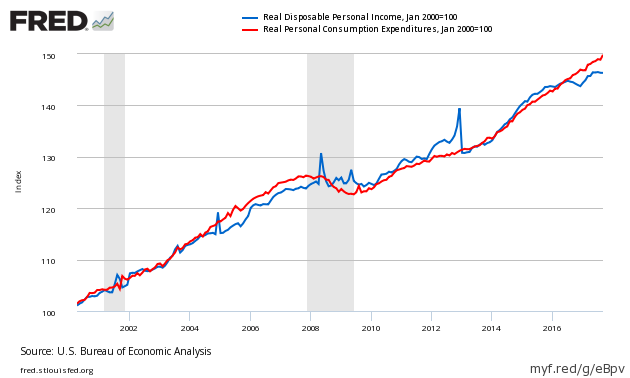 Consumer spending is far outpacing income - not good news. The graph below illustrates the relationship between income (DPI) and expenditures (PCE) - showing clearly income and expenditures grow at nearly the same rate over time - but currently consumption is greatly exceeding income..
And here is a non-indexed year-over-year growth of income Vs. expenditures. The real problem for the economy is that most are spending all of their income - and there is little room to spend more. Spending remains historically elevated and is near all time highs. PCE is the spending of consumers. In the USA, the consumer is the economy. Likewise, personal income is the money consumers earn to spend. 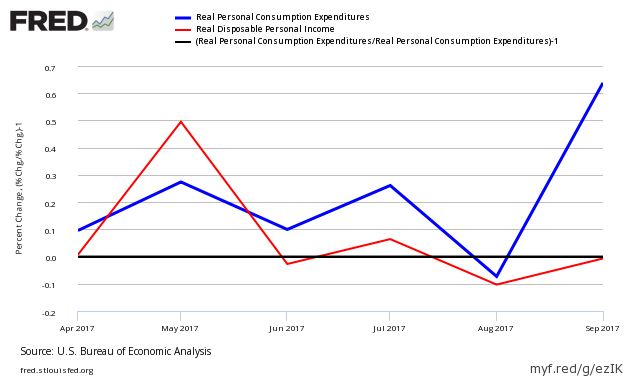 Even though most analysts concentrate on personal expenditures because GDP is based on spending, increases in personal income allow consumers the option to spend more. Econintersect and GDP use the inflation adjusted (chained) numbers. Disposable Personal Income (DPI) is the income after the taxes. In this view one can see the large discrepancy in growth last month. 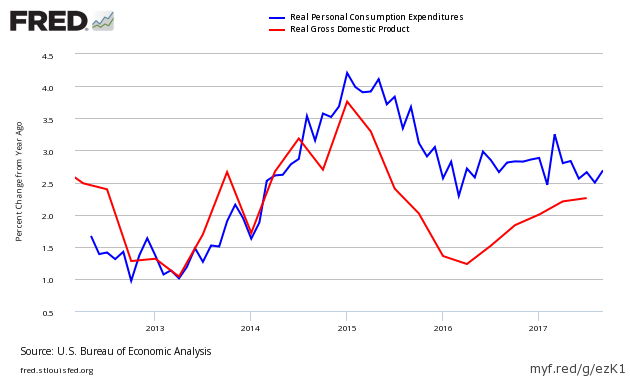 Yet year-over-year growth for income and expenditures is below GDP year-over-year growth - which demonstrates the consumer is not currently driving GDP growth. Is the economy gearing up for a slow motion slowdown as consumers start spending less and less? How do we ensure that artificial intelligence is accountable? There already are real-world examples of successfully implemented accountability measures. One of us, Curt Levey, had experience with this two decades ago as a scientist at HNC Software. Recognizing the need for better means to assess reliability, he developed a patented technology providing reasons and confidence measures for the decisions made by neural networks. The technology was used to explain decisions made by the company’s neural network-based product for evaluating credit applications. It worked so well that FICO bought the company. 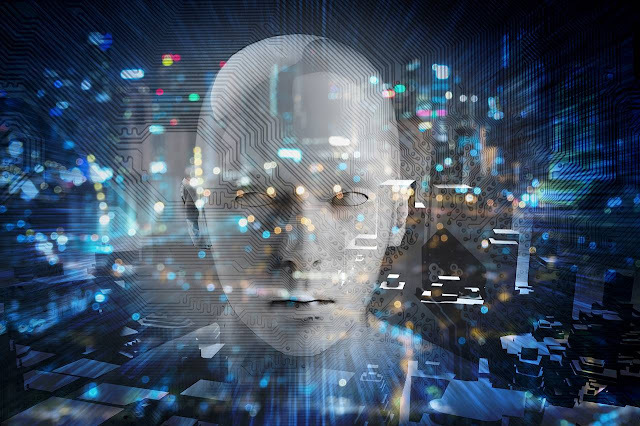 Further advances in artificial intelligence promise many more benefits for mankind, but only if society avoids strangling this burgeoning technology with burdensome and unnecessary transparency regulations. Mr. Levey is president of the Committee for Justice. Mr. Hagemann is director of technology policy at the Niskanen Center. But it is also true that closing all of the loopholes that exist is an arduous, sometimes frustrating political process, with the economic interests of the countries involved far too divergent to ensure universal satisfaction. There are, though, several positive developments. Cooperation between the fiscal authorities of dozens of countries is now taking place on multiple levels. For example, the largest industrialized and developing countries are working together within the framework of the G-20 on the so-called "base erosion and profit shifting" (BEPS) initiative. Participating countries are no longer allowed to wait until they are asked, but must automatically provide fiscal information to participating partners. The regulation has been in force since September, with 50 countries having already joined and 50 others planning to do so. The papers’ focus on offshore centres, however, is a distraction from the most important point. There is more money laundering in London and New York than on small Caribbean islands. Hundreds of British shell companies are implicated in £80bn of money-laundering scandals, according to a report released this week, calling for an overhaul of the UK’s “light touch” regulatory regime. Transparency International UK, a non-governmental organisation, has said the UK is home to a network that operates much like the companies at the heart of the Paradise and Panama papers. If national governments want to stop corporations shifting their profits offshore, there are other measures they can take. The US, for example, could eliminate the “check the box” rule that permits American companies to exempt their foreign subsidiaries from corporation tax. These rules were introduced 20 years ago as a simplification measure, but they were swiftly repurposed by tax planners to circumvent the anti-tax haven rules.